The Russian team of Ekaterina Makarova and Elena Vesnina won the Olympic gold medal today when they defeated the Swiss team of Martina Hingis and Timea Bacsinszky 6-4, 6-4. Makarova and Vesnina did not drop a set throughout the tournament. And credit to them for keeping their cool; they had a very hard time getting to Rio and were late for the opening ceremony. Makarova and Venina did not drop a set in the tournament. 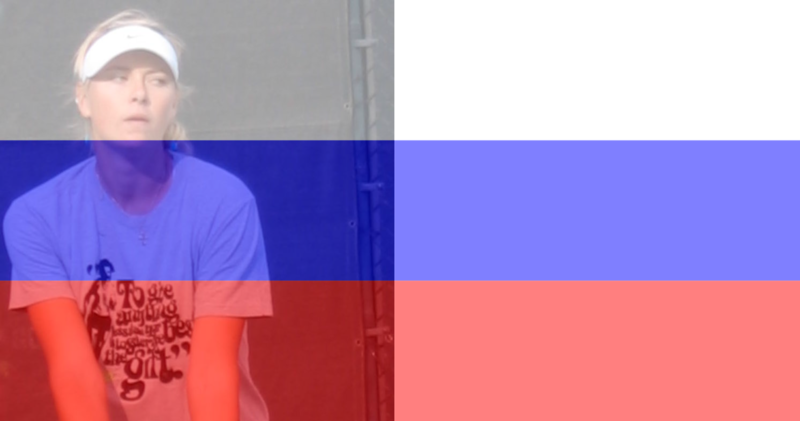 The Russian pair has already won the 2013 French Open and the 2014 U.S. Open. Yesterday, the bronze medal was secured by the Czech team of Lucie Safarova and Barbora Strycova, who defeated their countrywomen, Andrea Hlavackova and Lucie Hradecka, 7-5, 6-1 in the bronze medal match. Hlavackova sustained an injury during the team's semifinal match against Hingis and Bacsinszky. The Czech team held a match point against the Swiss in the second set, but a return from Hingis hit Hlavackova in the face, causing her to spin around and then fall onto the court. She was seen by both the trainer and the doctor, and continued to play, but the Czechs lost that set and then faded away in the third. A diagnosis has now been made, and Hlavackova is suffering with a fractured orbital bone. She had to spend time in a hospital after the match, and both she and Hradecka got very little sleep in preparation for the bronze medal match. Hlavackova said she saw the video of the rally and believes that Hingis could have easily put the ball somewhere besides in her face. The Swiss team's silver medal, surprisingly, is the first Olympic medal ever for Martina Hingis. Hingis was originally scheduled to play with Belinda Bencic, who had to withdraw fro the Olympic Games because of injury. In mixed doubles, the USA team of Bethanie Mattek-Sands and Jack Sock took the gold, with silver going to their countrywoman and -man, Venus Williams and Rajeev Ram, a last-minute pairing in the competition. Mattek-Sands and Sock defeated Williams and Ram 6-7, 6-1, 10-7. This was Mattek-Sands' first appearance at the Olympic Games. Lucie Hradecka and Radek Stepanek won the bronze medal, defeating Sania Mirza and Rohan Bopanna in the bronze medal match. The silver in mixed doubles gives Williams a total of five Olympic medals. And while they didn't win any gold or silver, the women of the Czech Republic made the strongest showing of any country, leaving Rio with a bronze medal in doubles, a bronze medal in mixed doubles and a bronze medal (Petra Kvitova) in singles.